From time to time, we will offer workshops that run from one to a few days. This is a great way to explore something new without a week-to-week commitment. All workshops listed here are being taught by Linda Calvert Jacobson. 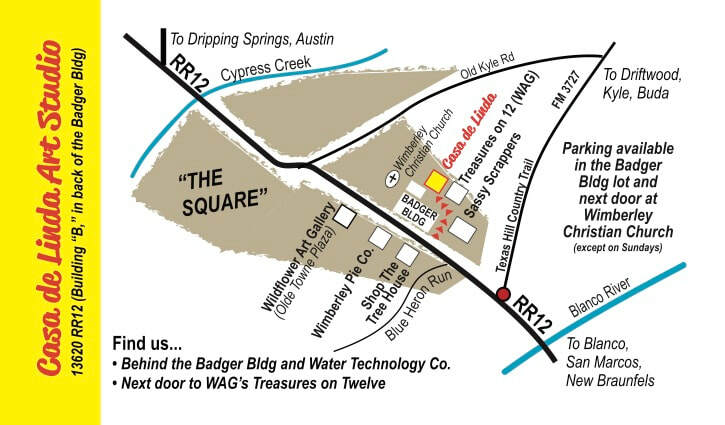 Please note: All classes are held at the Casa de Linda Art Studio in Wimberley, Texas. No workshops are scheduled at this time. Please check back later!